Well, that’s it for this week. See you next time for week 26 – the halfway point! Has this happened to you? You’ve settled into bed and have just fallen – or are just about to fall – asleep, but then you suddenly shake yourself fully awake after having the sense you are about to fall. What’s that all about, anyway? Well, it’s a common phenomenon known as a “hypnagogic myoclonic twitch” or “hypnic jerk” for short. While the cause is not completely known, it has to do with the brain misinterpreting “relaxation signals” from the muscles and being tricked into thinking you are falling down. It then takes the appropriate measures to prevent a fall. Many think this is an ancient reflex from when evolutionary ancestors slept in trees to avoid the many predators below. 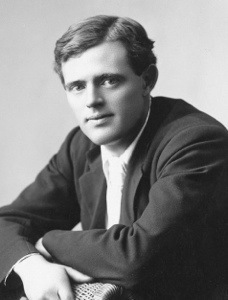 Whatever the cause, author Jack London uses the latter idea brilliantly to explain the phenomenon that the narrator of his unique novella, “Before Adam,” is experiencing. You see, the narrator, since childhood, has spent night after night dreaming of a time long ago, recalling an earlier life of an ancient hominid progenitor. He believes this phenomenon is a freakish amplification of the type of “racial memory” (like the sensation of falling) everyone experiences, and that he is seeing a kind of replay of an actual life lived long ago. 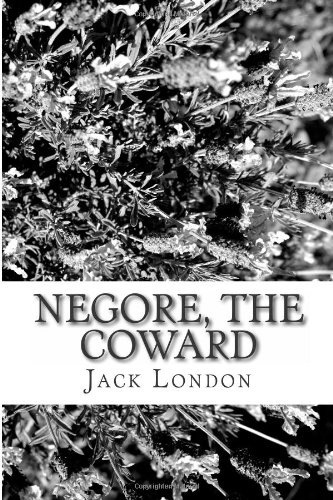 All of this is explained in the first couple chapters, and the remainder of the novella is a narrative of the adventures of this ancestor, known as “Big-Tooth,” who begins his life living in the treetops of a primeval forest with his “species” and flees when the abuse of a step-parent (to apply the modern terminology) becomes more than he can endure. 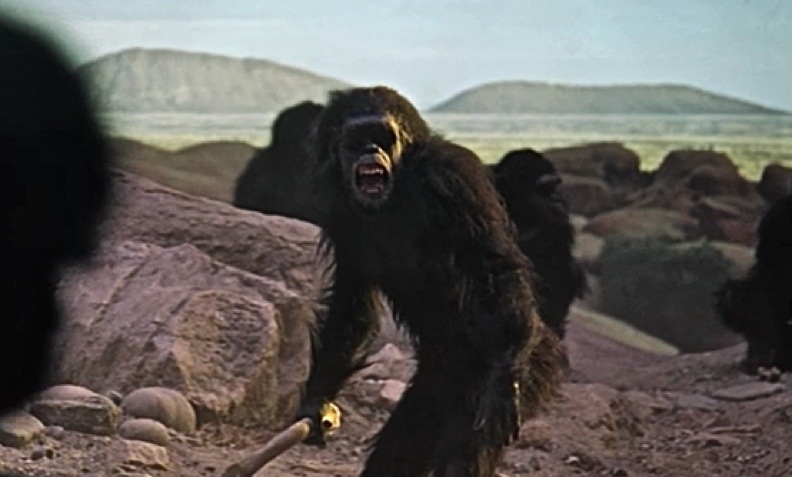 He next lives with “the horde” – a clan of cave people who spend time dodging saber-toothed tigers and also the clan leader, a oversized brute called “Red-Eye.” Other dangers include a new “race” of hominids called the “Fire-People” who have alone tamed fire and have even invented a rudimentary bow and arrow. They hunt the people of the horde, to whom a bow is a shocking development. 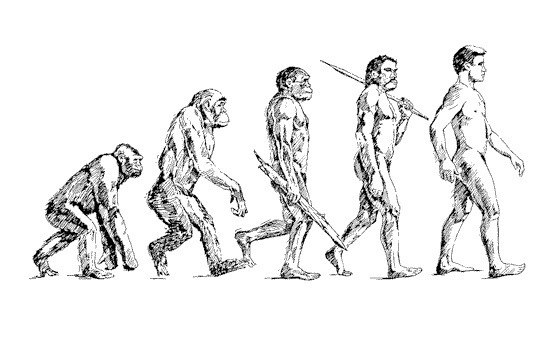 I found it remarkable that London’s imagination could run so far with this concept, especially in an age when the science of the day knew relatively little of the early ancestors of man. Perhaps, though, this is also why this is a novella rather than a longer work. London ran as far as he could with it. In an age where it is becoming harder and harder to find anything new under the sun to read, I found this work of just over one hundred years ago a refreshing change of pace. 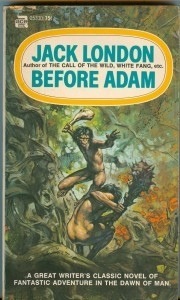 Have you read “Before Adam?” What did you think about it? Is there other “prehistoric genre” literature that you can recall or recommend? A quick update. 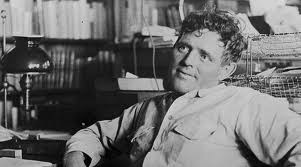 10 a.m. – I’ve read a total of 1 hour and 56 minutes thus far, and I was able to finish Jack London’s unique novel, Before Adam. I won’t post about it in depth at this time, but maybe later. 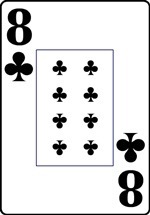 For my short story reading project, I drew the five of spades, which I had assigned to the Charles Beaumont short story, “The Howling Man,” which I have just completed. (You may be familiar with this story from the Twilight Zone episode of the same title.) What’s next? 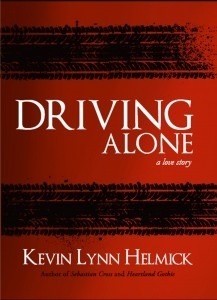 I think I may get started on Kevin Helmick’s “noir novel” Driving Alone: A Love Story. How’s your read-a-thon coming along? 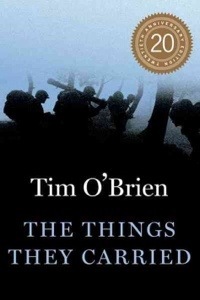 I am going to revisit Tim O’Brien’s “The Things They Carried,” as it is the October reading selection of the Kurt Vonnegut Memorial Library’s book club. What’s more, I’m supposed to lead the discussion, so I’d better be prepared. It’s an awesome book, though. I could probably just ask one question and let everyone talk for the next hour, but I’ll try to add a little more value than that. 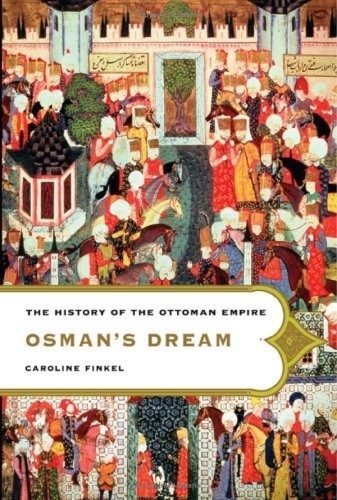 I’m also currently reading a great non-fiction book called “Osman’s Dream.” It’s by Caroline Finkel and is a history of the Ottoman Empire (Osman being the first Sultan of that mysterious – to me, anyway – entity). I’ve learned a lot so far in just the first eighty pages, but look forward to becoming a little more conversant with that corner of world history, which I’ve hitherto neglected. Since it’s October, I’m sure I’ll also squeeze in some ghost or horror stories (I bought a new anthology recently!) and hopefully blog about a few for the R.I.P. Challenge, to which I’ve already contributed a couple posts. 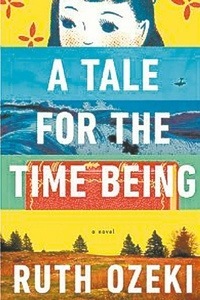 Let’s see, what else… I’ll continue reading stories for my “Project: Deal Me In” annual short story challenge, and there are a couple other books that I’ve read a few pages into but haven’t really officially “started” yet, those being Ruth Ozeki’s “A Tale for the Time Being” (which I got far enough into to appreciate that that title doesn’t quite mean what you would think… & It’s also a finalist for the coveted Mann-Booker prize!). That’s it for my plans, but what about YOU? What are you planning to read this month? 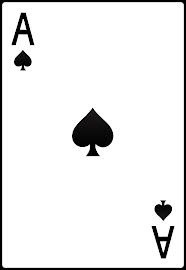 I drew the Ace of Spades this morning for my short story reading project. 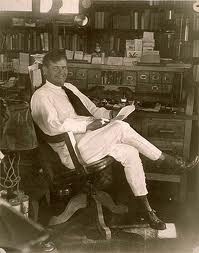 This meant I was to read Jack London’s story, “A Relic of the Pliocene.” The first order of business was for me to learn/re-learn just when the Pliocene was. (I remember once, on a road trip, recruiting my Mom and my brother – both geologists – to help me learn the geologic eras and their order. Today I only remember them incompletely. Time for a refresher course!) Here’s a summary. There’ll be a quiz next week. 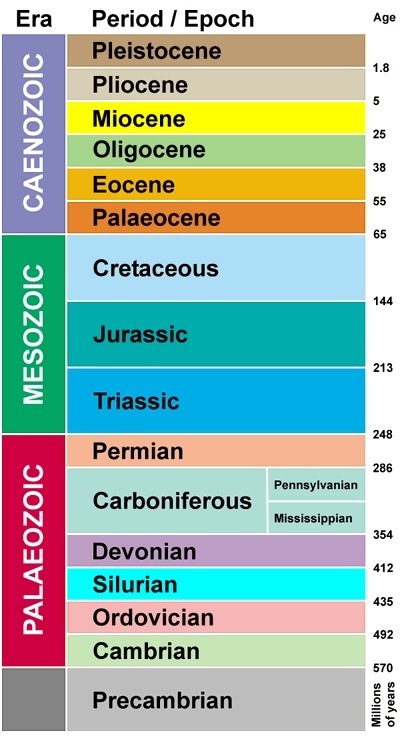 Turns out it’s in the Cenozoic Era just before the most recent period (the Pleistocene). It doesn’t help that those two words are very similar, does it? Anyway, the Pliocene was home to prehistoric man and some giant creatures, including the Saber-toothed Tiger and the Great Wooly Mammoth. It is about the latter that London’s story deals with. The strange visitor finishes the tale and afterward, in exchange for some tobacco the narrator has given him, leaves him the mukluks as a gift and disappears into the night. 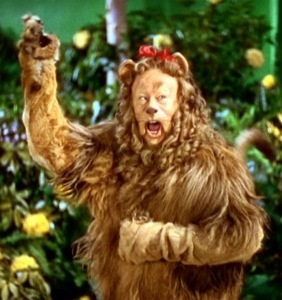 Though the narrator’s rational side tries to convince himself of the impossibility of such an encounter, chalking it up to the fevered imagination of isolation or a dream, but the physical evidence of the mukluks and his missing half a pouch of tobacco confirms that he didn’t dream it all. 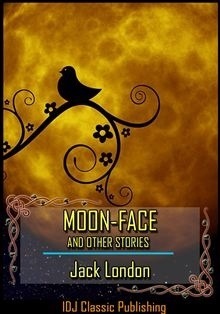 Have you read this story, or others by London? What are your favorites and recommendations for further reading? A man of action, he begins to wage a campaign of evil against Claverhouse, releasing his livestock, burning his barn and haystacks, and other cruelties I don’t care to repeat. 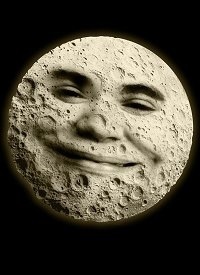 Finally, he decides that “the earth should be quit of him” and he “bends his intellect” to plotting the demise of Moon-Face (see the final picture in this post for a hint of a spoiler…). 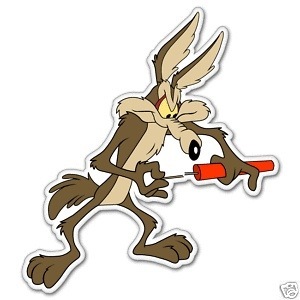 The manner in which he carries out his plans is as humorous as it is effective. I found myself laughing in spite of the fact that such violence is certainly no laughing matter. Perhaps that is the challenge that London set for himself when writing this one – to make his reader laugh despite the inappropriate-ness of such a reaction. If so, congratulations, Mr. London. In my case you succeeded. This story is very short and can be found online in many places. Here’s one. 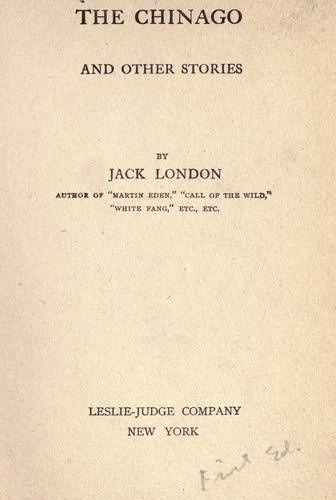 I own it as part of an eBook of “The Complete Works of Jack London.” Quite a bargain, purchased for just a couple dollars. 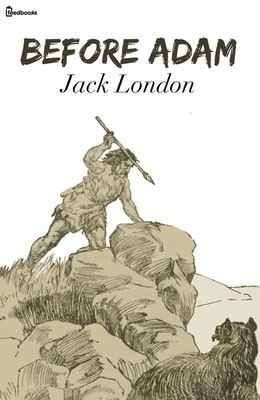 Have you read Jack London? What are you favorite books or stories? 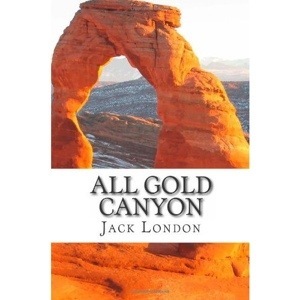 A couple weekends ago, my short story reading project led me to read Jack London’s short story “All Gold Canyon.” I own an ebook of London’s complete works and added this tale to my 52-story roster for 2013 reading. 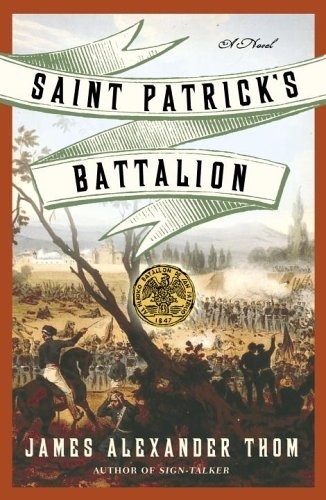 I chose it because of its tantalizing title and because it was one I hadn’t read before. I was not disappointed. The story begins with the protagonist, a solitary prospector, coming upon a pristine canyon in the Southwestern U.S. The canyon is singular in its unspoiled natural beauty, and London’s description of it is a real tour de force. 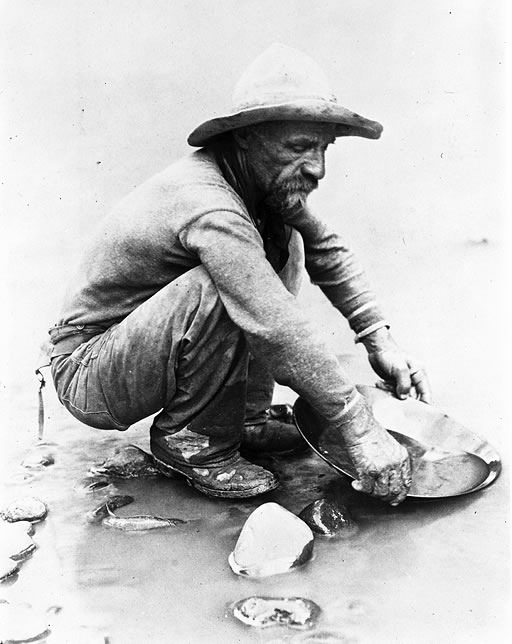 The prospector takes out a pan and begins testing the dirt for traces of gold. As you could imagine by the story’s title, he is not disappointed either. 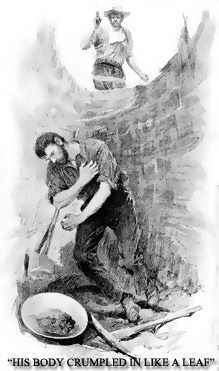 Things go well and eventually he finds the source of the gold deposit. Extracting the gold won’t be that easy, though, as he must deal with natural obstacles as well as a nefarious “claim-jumper” before the story ends. 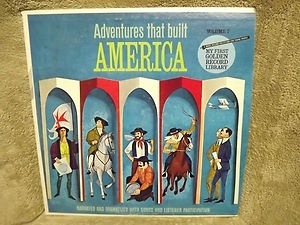 When I was growing up, my family had some LP records from a series called “My First Golden Record Library” that my two brothers and I listened to often, and of these our undisputed favorite was one titled “Adventures that Built America.” (album jacket pictured above) This record sounds somewhat cheesy when listened to today (a few years ago my Mom burned a copy to CD for me), but at the time it was high, “adventure” – for lack of a better word. It contained five individual tracks where the listener would ‘actively participate’ (there were quiet spots on the record where we were supposed to respond. The breathless narrator would urge us with “Say, ’yes,’ adventurer!” – or whatever the situation called for.) There were five separate adventures on the record, starting with Christopher Columbus discovering America (“You’ve sighted land, Adventurer!”) and moving on to Paul Revere’s ride, The Pony Express, and the Wright Brothers’ first flight in Kitty Hawk. 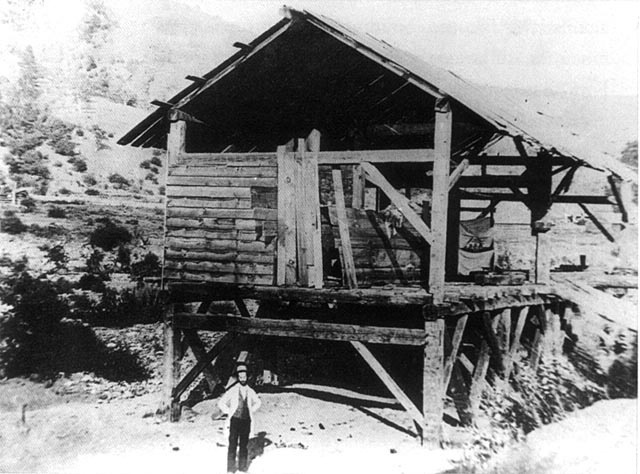 There was also one about the California Gold Rush that started with its discovery at Sutter’s Mill (pictured below) in 1848. 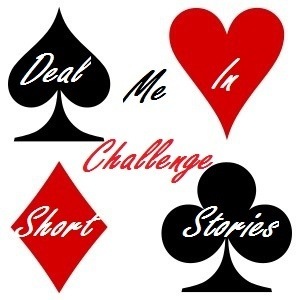 My short story reading project for 2012 is winding down, with just a few stories to go. The latest I read was The Chinago. 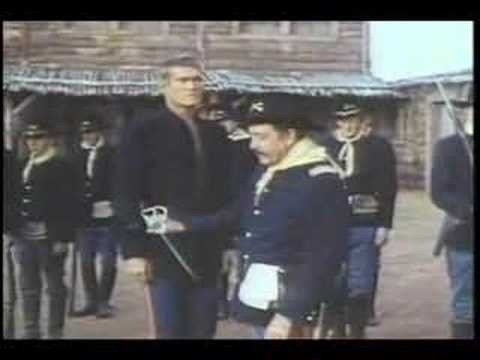 It takes place on a plantation in Tahiti, which is worked by some 500 Chinese laborers, who are called by their French overseers “Chinagos.” A murder has been committed on this plantation, and the French have rounded up five suspects (I don’t know if they were the usual ones or not – I am hearing the voice of Casablanca’s Major Renault in the back of my head as I’m typing these words), none of whom are guilty. The story’s protagonist, named Ah Cho, on top of the fact that he and his fellow accused men know who really did commit the murder, marvels at how five men can be accused of murder when the victim was stabbed twice (“at most this was the work of two men”). I do have a copy of this story “somewhere” in my library in one of my many short story anthologies, but when it came time to read it, I wasn’t home, but at one of my favorite coffee shops so I searched for it on line and found it. This set me thinking about how wonderful it is to live in such an age of easily accessible information as we do. 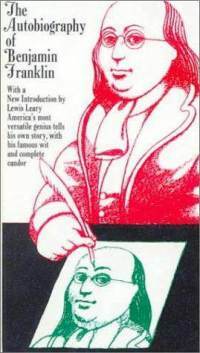 I remember reading one of my all-time favorite books, The Autobiography of Benjamin Franklin, and how, when Franklin was young, he was so desperate for books and reading material. How much easier it is for us today. Even if this story wasn’t available for free in the public domain, I could surely have bought and downloaded it in a couple minutes as well. I wonder what Franklin, with his hungry intellect, would think of that? 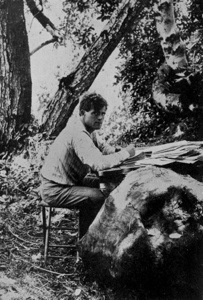 Jack London. What have you read by him?